You’ve probably heard it many times, “fail to plan, plan to fail,” but it couldn’t be truer than when tackling a new diet. 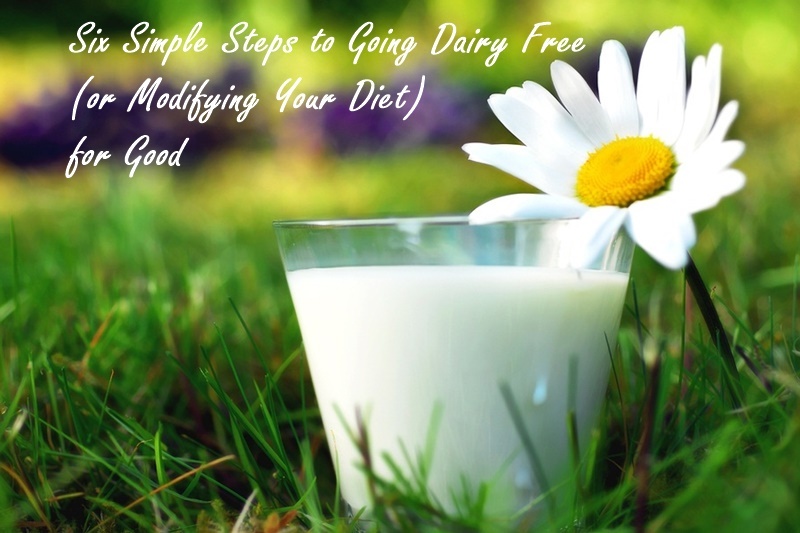 Beyond my own dairy-free transition many years back, my husband and I have successfully made other dietary changes in our household using a simple six-step process that can be easily customized. Your irritable bowel symptoms may only last for one day after a cheese cheat, but the repeated damage may take a long-term toll on your digestive tract leading to more serious conditions. And while you may think of it as a one-time thing, cheating can reintroduce cravings, making more little slips likely. What we see on the outside is a reflection of what is happening on the inside. If you are seeing rashes, acne, and/or eczema, odds are something is amiss internally, too. Not to mention, who wants more scars?! Eating ice cream in front of your milk allergic child may send the message that they are somehow being punished or missing out on something better, or even worse, it may put them at risk for a reaction from contact. The first step is always the most important one, isn’t it? Put a sticky note on your forehead if you have to. Just, do not lose sight of your purpose. Step 2 – Know Your Enemies: For both of us that means dairy, and more recently for my husband, it also means gluten. It’s been essential for us to understand every ingredient that could contain these proteins, and what types of food they may silently sneak into. For example, at a recent restaurant outing my husband opted to go with the fries sans parmesan as they sounded like a safe option. But based upon what I had read, I knew to ask if they had wheat starch or any other coating that might prevent them from being gluten-free. For dairy-free concerns, Go Dairy Free: The Guide and Cookbook has all of my lists and tips for identifying milk-based ingredients, knowing where milk may hide in everyday foods, and being aware of potential restaurant landmines. Step 4 – Identify the Foods that Will Love You Back: Sometimes, when we’re told that we can’t have something, we focus on it (see step 3 above). The best way to break that focus is to identify everything that you CAN have. Go ahead, start making a list. Nothing is too specific. When I’m in a rut, I’ll write down my favorite herbs and spices, vegetables, fruits, nuts, legumes, convenience foods … even marshmallows! 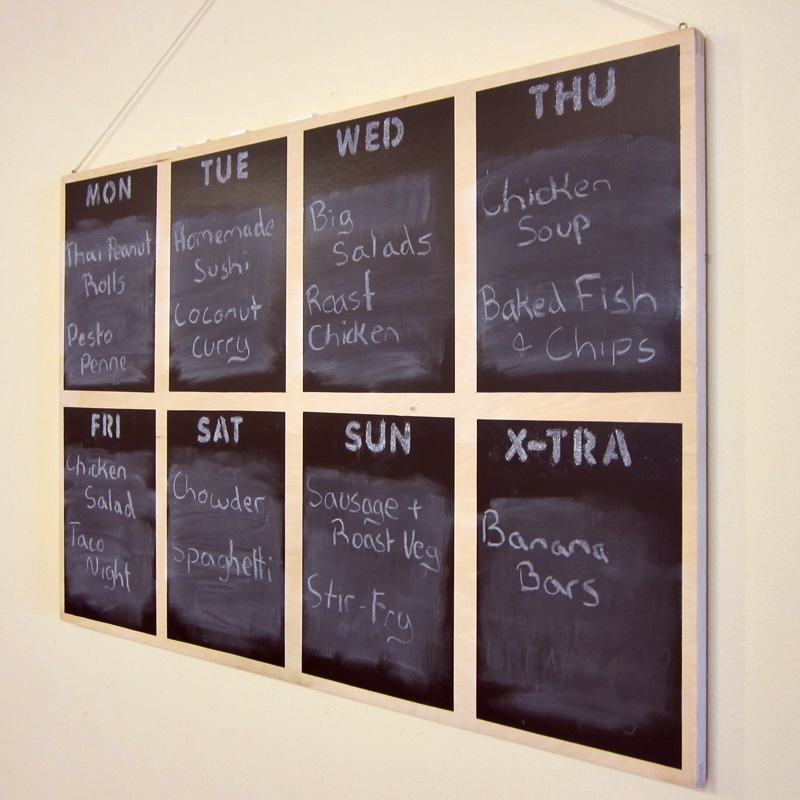 Step 5 – Become a Menu Plan Maven: I’m not just talking about “what’s for dinner?” here. In the beginning (and sometimes when you are feeling stuck) it’s essential to plan ALL of your food. That means breakfast, lunch, dinner, snacks AND desserts! You may not eat it all (aren’t freezers wonderful? ), but the last thing you want to do is be caught hungry with nothing to eat. I’ve actually found that planning snacks and treats has been the most important thing for our household when making a transition. And don’t forget meal ideas for social events. Having a go-to potluck dish or two and some handy stash-in-the-car, back-up food will save you a lot of stress. You will find over 200 helpful recipes in Go Dairy Free: The Guide and Cookbook and another 75 in Dairy-Free & Gluten-Free: A Whole Food Starter Guide and Cookbook. Step 6 – Have Back-ups: While making everything from scratch may sound ideal, it isn’t realistic for most people. I always have some “safe” convenience foods on hand for emergency nights when I have little time to cook, and I make sure to identify at least three restaurants in our area with “safe” food options that we enjoy. I have been lactose intolerant since I was a baby and have never followed the dairy or lactose free life… ever…. and I am 31. However, as the saying goes, I have become sick and tired of being sick and tired. I have never have a regular bowel and I ALWAYS feel tired. I have an awful time losing weight and I think it is because I never gave up dairy and my digestion is always in distress. I have decided to help myself rather than hurt so I am SO thankful for this site. When I was growing up in a rural community there wasn’t much I could enjoy so I said screw it and didn’t avoid dairy. I see the long term effects of that now. Anyway, just wanted to take a minute to say THANK YOU for taking the time to put all of this together. Thank you Kristi! Your words have brightened my day! I’m glad that I can help AND that you are on the journey to feeling so much better! My son has recently been tested for ADHD and doing some research on how to avoid medication, I find that dairy may be linked. I appreciate all your information as I start this life altering journey! So happy that I can help and I hope everything goes smoothly with your son! I have just found out yesterday that I am lactose intolerant and diary intolerant. I had guessed this much as I suffer from a bad stomach and have had a rash on my face for nearly 3 years that flares up and down every week. I have avoided milk and went on to almond milk for the past 6 months. HERNIATED DISC LOWER LUMBER 3 /4. I STARTED SINCE THEN LIVING DAIRY FREE, STILL HAVE BY BACK PROBLEM JUST IN LESS PAIN THANK GOD. THANK YOU FOR YOUR TIME IN HELPING ME NOW FIND MORE DAIRY FREE PRODUCTS. Thank you so much for sharing your story Regalo! Very happy to hear that you stumbled upon a diet that is helping you. I have been off dairy for maybe 4 years due to ibs and don’t take any alternatives I mean nothing….! No butter,milk,cheese etc, vitamins. As I understand now becoming older and wiser,this was not the right think to do and should have substituted with non dairy items. What would you suggest the best method of getting back on to starting non dairy food without to much stomach issues? Would I have to include supplements vitamins etc. Hi Katya, substitutes aren’t necessarily what you need, but a well-rounded diet is. And you might need supplements, depending on the diet that works for you. You would need to consult your physician, a dietitian or nutritionist. Unfortunately, I can’t give you specific dietary advice since this does go into the medical realm for your personal needs. I’ve been on a plant-based diet since 2008. Much to my surprise I started having cramps, bloating, etc. I never would’ve guessed dairy was the culprit until a friend suggested that I try finding out if diary was in anything that I eat or drink. Well, to make a long story short, I bought your book, and found out that dairy was in Tylenol, my allergy pills, my wine, my gum, my toothpaste, etc. I called each company, except my toothpaste company. I continued to experience problems. I finally started brushing my teeth w/baking soda and no longer have any problems. THANK YOU, THANK YOU for your book! Hi Jeanie, I’m so happy that my book has been helpful for you and more importantly, that your problems have resolved! I bought a bag of lucy’s brownie crisp and found it to be yummy until I got to looking at the ingredients and saw soy on the list and brought the product back for a refund. I’m so frustrated with this issue. What is with all the soy in everything nowadays?! We went from HFCS to soy. Would love to see more dairy free products without soy of any kind in them. I agree Jess, soy sneaks in a lot. As does corn – they are inexpensive and produced domestically, so they make it into tons of North American products. Lucy’s has a very small amount – they use Earth Balance margarine – the regular one, which does use a wee bit of soy oil / lecithin. Hi Alisa – great post! May I ask – where is that chalkboard from? We made it! It’s a large piece of press-board and adhesive chalkboard paper. I like the idea of focusing on what you can eat. That has made my life easier. I found it to be a good thing when I found desserts that I can eat. I went beserk when I found that I really couldn’t go without dessert like I thought I could. I would like to add two more suggestions. Plan on emotional ups and downs. I had some downs that I didn’t expect. The other is to reach out and get support from someone that has been there. 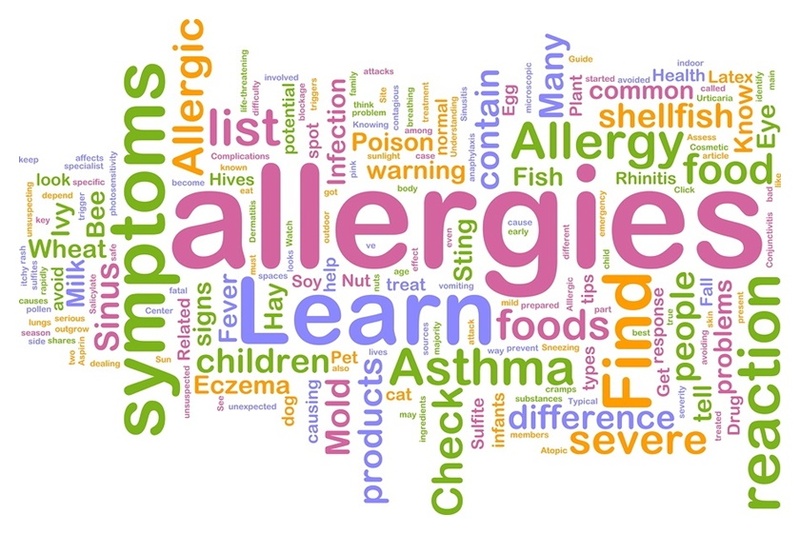 I talked to someone with my same allergy, (her reaction to dairy is even the same as mine) and she was a life saver. People that follow a vegan diet for whatever reason are also helpful. Of course, look up the resources such as this awesome website. Thank you so much for sharing your own tips, too, Stephanie! I am struggling. I had surgery that involved my bowels a couple years ago. Since then I have developed many sensitivities that will send me into cramps and swelling that causes blockage for days. It started with corn, then almonds, (And their products, so almond milk, corn chips and taco shells, etc.) This year I started having lots of problems all the time. What we have found is that it is everything that has dairy, even dairy products listed a lactose free. So I am trying really hard to make a diet that won’t break me financially an will still meet nutritional requirements. Thank you for this site and the lists that are helping me make new choices. Oh, and I am diabetic too with early onset osteoarthritis. Hi Stephanie, I’m so sorry for the delay and very sorry to hear about all of your health troubles. Once you get accustomed to dairy-free it’s actually less expensive than a diet with dairy (milk beverages often go on sale cheaper than milk, and cooking naturally without other dairy alternatives is inexpensive). 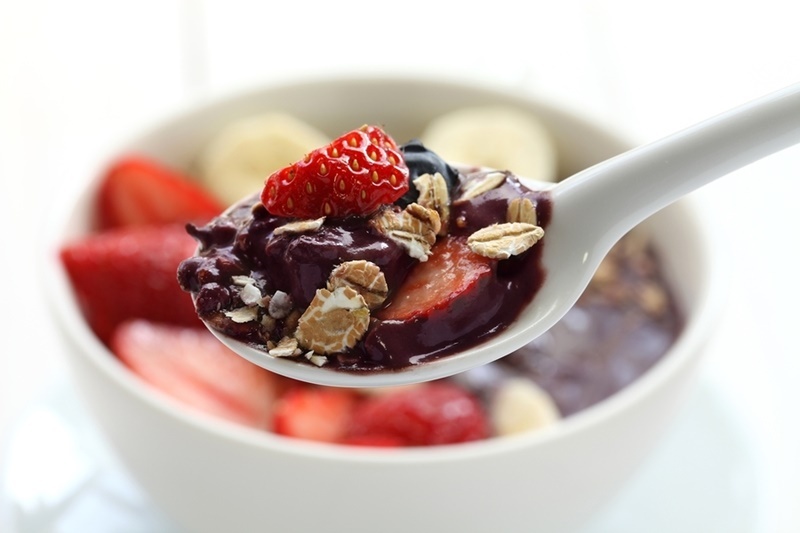 Since your situation is so delicate, I can’t advise you on the best foods to eat – it would be best to consult a dietitian to put a plan together. They may recommend that you shop the perimeter of the store more, using whole food ingredients as the base for your meals. I do wish you all the best and hope that my site continues to be a good resource for you. I update it almost daily with new content to help. You may also find my book, Go Dairy Free, helpful. Best Wishes, Alisa. That does sound like some tough obstacles Tina. But with the motivation of your little one’s health, it sounds like you will make the choices that you need to. We have an abundance of both dairy-free and soy-free recipes here on the website, and simple meals abound when eating out. If you are avoiding soy oil, too, make sure you inquire when ordering as that is one of the sneakiest forms of soy used in restaurants! I am finding this very knowledgeable. I was just diagnosed with Irritable Bowl syndrome. I am still figuring out what to do and I am looking for any kind of help I can get, right now I am having a lot of trouble with indesgtion. I want to do this but I need some support, it will take me a little while to get everything together because I am on a fixed budget. I hope it works out well for you Linda! It can actually be relatively inexpensive if you shop the store perimeter and enjoy fresh foods – produce, eggs, meat – whatever is allowed on your diet. I’m in the exact same boat as Tami. I just found out in allergic to milk and am starting to own it but it’s been so hard because milk seems to be in EVERYTHING!! So glad I found your site tonight though. Great tips above and I’m excited to get more into the site. Not enough stuff out there like this. Thanks! It gets easier, I promise! Once you start finding those food gems that you love, it becomes second nature and all of the naturally dairy-free foods emerge! Is there a post that has YOUR food gems? Just for ideas to get started. Just diagnosed lactose intolerant this week. I’m actually finding this a bit exhilarating in a way. I’m on a new journey which is exciting. Pretty much all of the reviews – http://www.godairyfree.org/new-dairy-free-product-reviews and news are written by me. I just found out I’m allergice to milk a few months ago. I went through the grieving process and am now beginning to make strides toward owning it. Thank you for this! I have been gluten free for over a year and a half now and, due to recurring symptoms, now have to go dairy free. This is new and currently very difficult. I’m working on being positive about it. I know I’ll get there. I just have to get my head wrapped around it and build those new habits. Thanks for the 6-step plan and positive outlook.